To err is human, but some errors can be prevented. Taking the pledge to make safety a priority in healthcare is a critical first step in the pursuit towards improving the overall quality of patient care. While there are many ways to turn this idea into a reality, adopting the following attitudes and approaches to ensure patient safety is a good place to start. This past February 2019, we held our signature CAE Human Patient Simulation Network World Conference (HSPN World 2019) in Orlando, Florida. 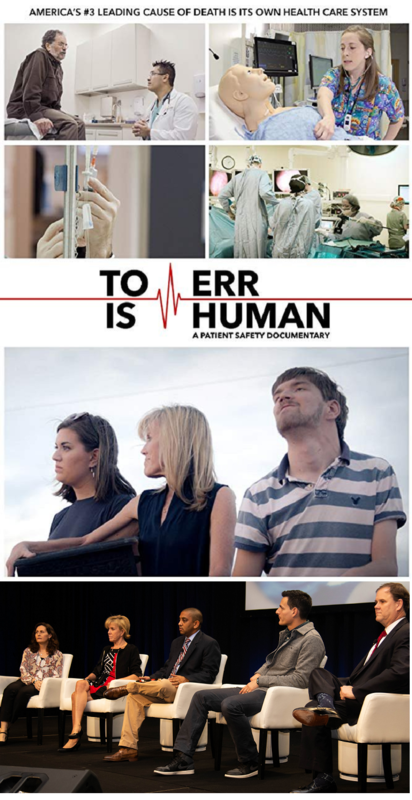 Centered on a theme of inspired innovation and a deliberate focus on patient safety, we opened the 3-day meeting with a special screening of the compelling patient safety documentary, To Err is Human. (Watch the official trailer here). On the conference's second day, we introduced our keynote panel of medical experts, educators and individuals directly involved in the making of the To Err is Human documentary. They engaged in a spirited exchange surrounding the personal and systemic impact of preventable medical harm. The knowledgeable group also shared well-considered ideas for solving the problem. There is an urgent need to erect a comprehensive set of principles and protocols that place patient safety as the Number One priority throughout the healthcare system. CAE Healthcare believes we can be part of the solution with quality educational services, expert instruction and healthcare training that includes human patient simulation. What are your thoughts about patient safety and how we can improve healthcare?